The Andes Mountains are the world's longest mountain chain, linking most of the countries in South America. 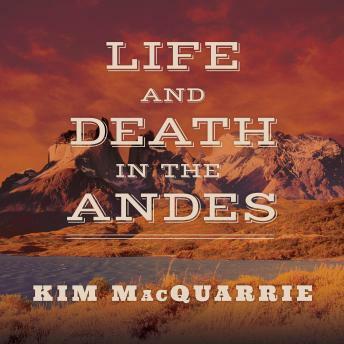 Emmy Award-winning filmmaker and author Kim MacQuarrie takes us on a historical journey through this unique region, bringing fresh insight and contemporary connections to such fabled characters as Charles Darwin, Pablo Escobar, Che Guevara, and many others. He introduces us to a Patagonian woman who is the last living speaker of her language, as he explores the disappearance and sometimes surprising resiliency of indigenous cultures throughout the Andes. He meets a man whose grandfather witnessed Butch Cassidy's last days in Bolivia and tracks down the ballet dancer who once hid the leader of the brutal Shining Path in her home. Through the stories he shares, MacQuarrie raises such questions as, where did the people of South America come from? Did they create or import their cultures? What makes South America different from other continents-and what makes the cultures of the Andes different from other cultures in South America? Deeply observed and beautifully written, Life and Death in the Andes shows us this land as no one has before.